Uvita, Costa Rica is laaaaaid back. It’s not overdeveloped like a lot of the other beach towns. I think in part because beach access is tricky. 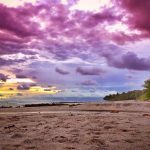 There is so much protected national park in the South Pacific, that it’s hard to find a house to rent that is close to free beach access. There are ways around that, obviously, but they involve cheating or hiking down sketchy trails. The non-internet-having oven I was in while living in Uvita was next to a trail that led to the beach. Sure it was riddled with crocodiles, too much mud, and mosquitos, but it was free and it was ours. I would walk every morning with my roommate and the dogs down the muddy path through the jungle to our own private beach entrance. 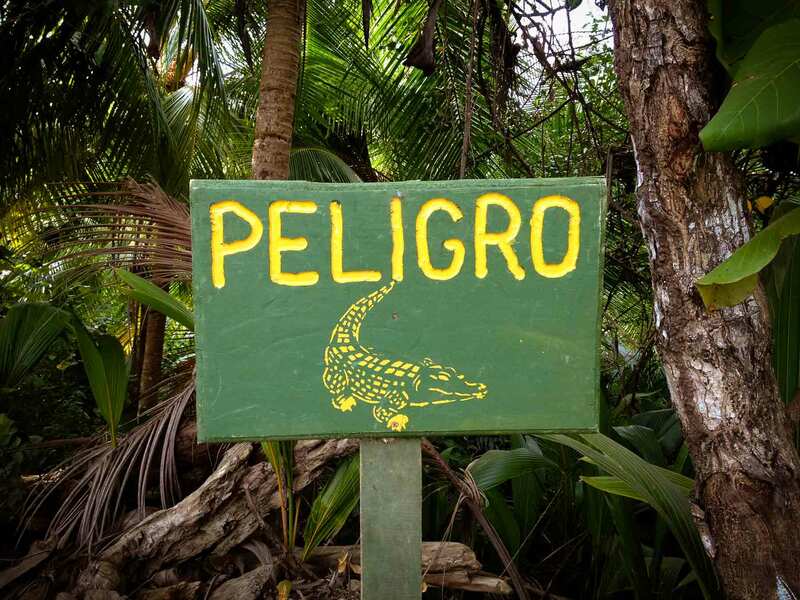 I saw only two other people on that beach the entire time I lived there – 1. a fisherman and 2. a police officer coming to check on a giant crocodile sighting. Uvita isn’t deserted, though. I actually met more people there than I did in San Isidro de Heredia. There’s a healthy expat community, softball on Saturdays, delicious places to eat, and even the occasional nightlife. 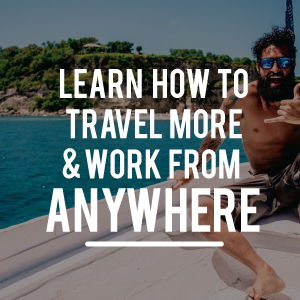 For travelers, there are plenty of opportunities to relax, play, or go on adventure travel tours. 1. The earth makes the shape of a whale’s tail on a coast with a huge population of whales. There are so many whales in Uvita, it is actually the location for the Annual Whale and Dolphin Festival in September. It’s one of the most popular places to see whales and they’re in the area August – April (so not so much in May, June, July). 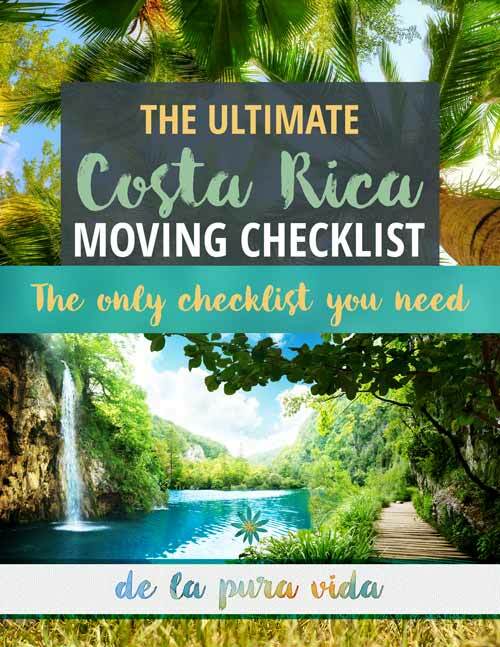 Getting to Uvita is easy and it’s very accessible as the town is split in two by the Costanera Highway and the coastal side is 2wd friendly. Home Sweet Home. 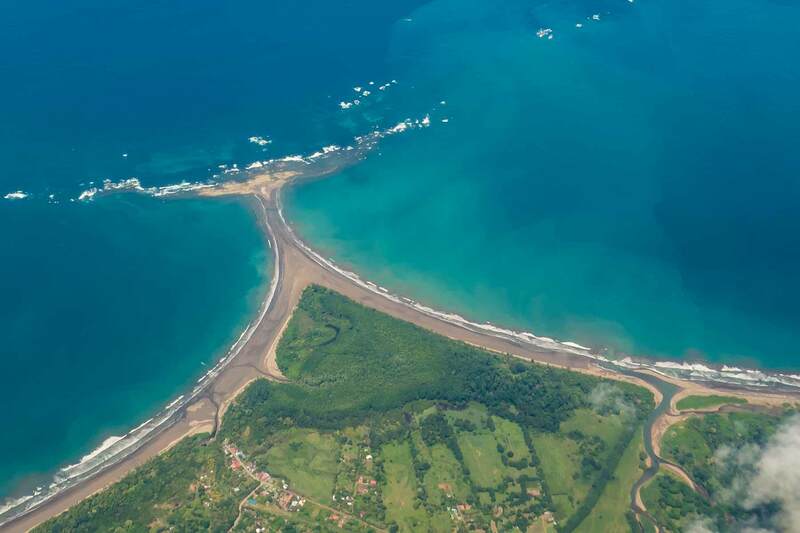 Marino Ballena National Park, Uvita, Costa Rica from above. You can see why they call it The Whale’s Tail. 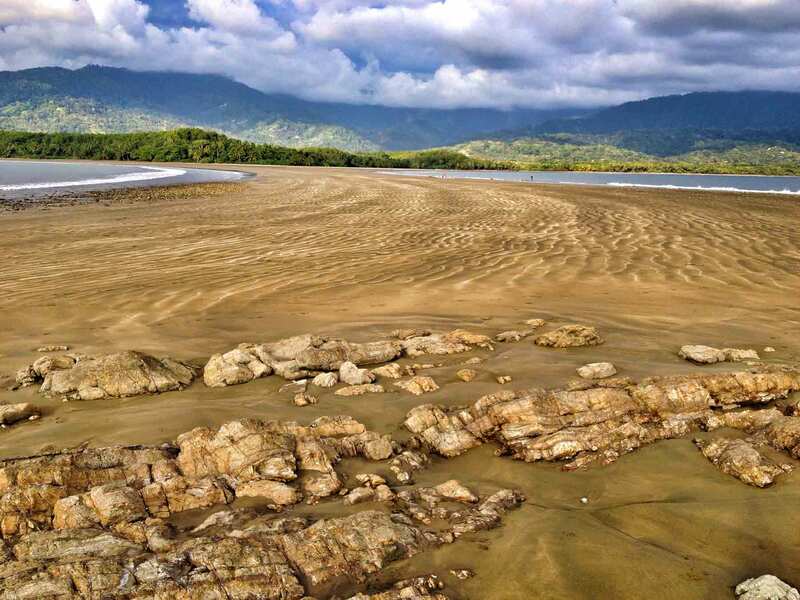 Looking back towards land from the Whale’s Tail in Marino Ballena National Park, Costa Rica. 2. Watching sunset from the Whale’s Tail during low tide is like being on another planet. 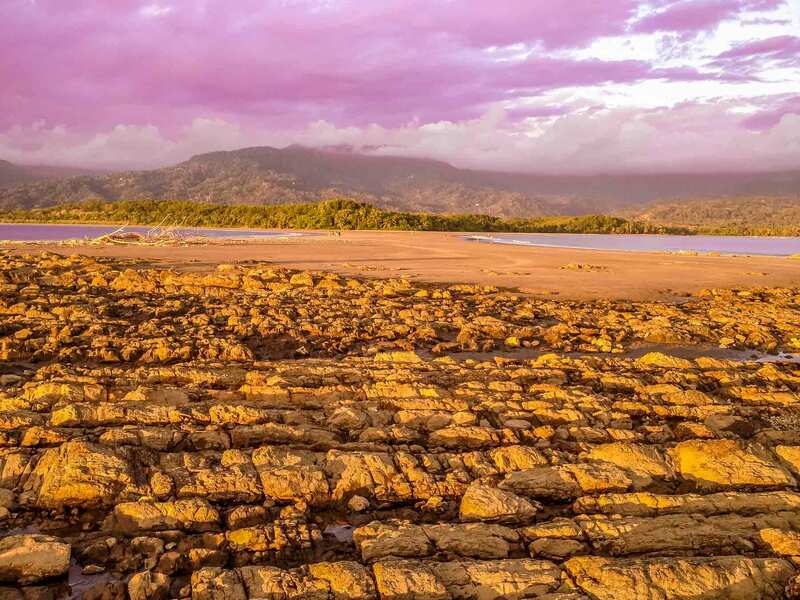 Watching sunset during low tide from the Whale’s Tail in Uvita is like watching it from a tiny island surrounded by water. These rocks and all that sand are underwater during high tide. When the water recedes, all kinds of treasures are left behind. For looking, not taking! I’ve found feathers, shells, and turtle bones. 3. The beach looks like this. 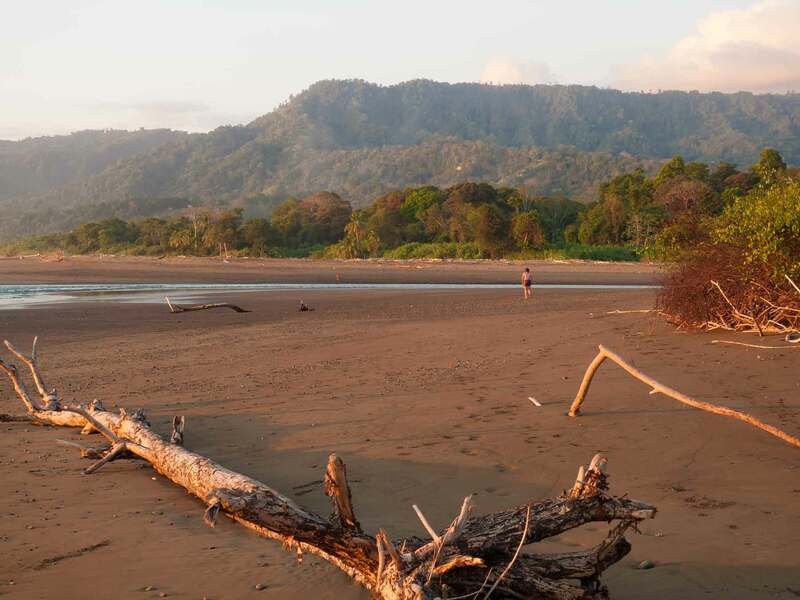 Looking towards the Whale’s Tail and the shore of Marino Ballena National Park, Costa Rica. 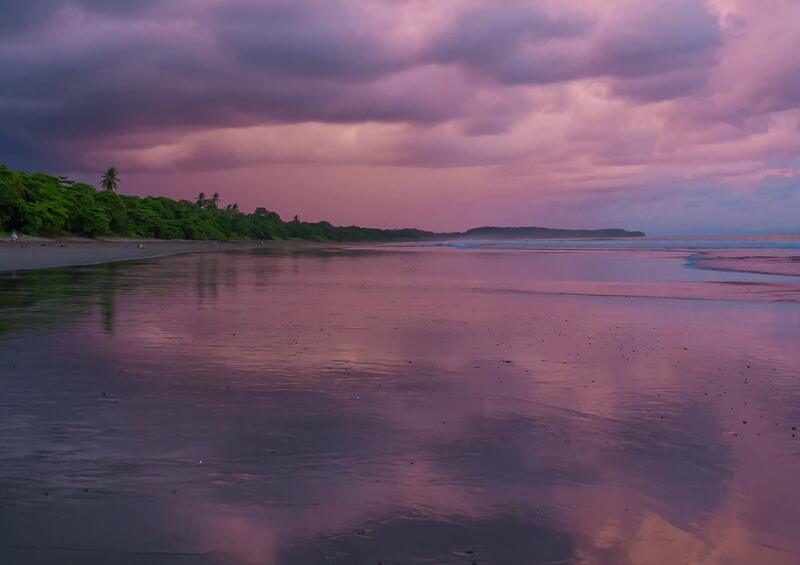 Bright colors popping out from everywhere on the beach in Costa Rica. 4. Less people, more animals. Not that I’m antisocial or anything like that. To me, it just means less cars, less development, and more room for the people who are there to live in harmony with nature. 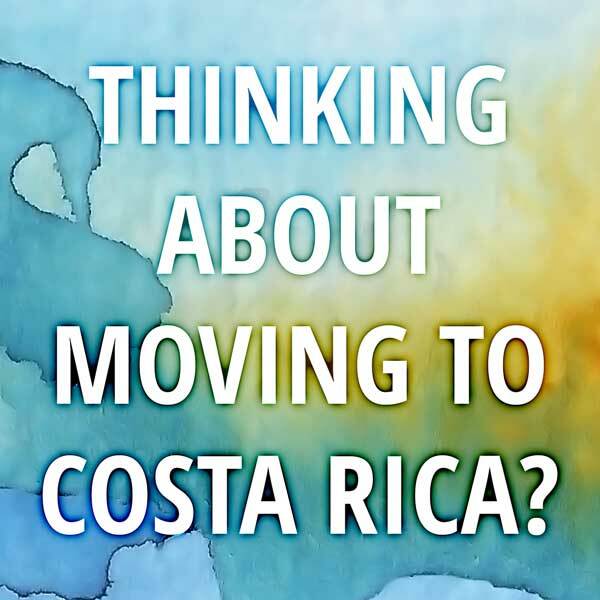 There are actually more expats in Uvita than in San Isidro de Heredia. A lot more. Like a colony. And some of them play softball on Saturdays. Some play in the band with the town doctor. These cows would walk over and focus an intense gaze on me everyday on my morning walk. In Uvita, I lost my appetite for red meat. This road in Uvita leads to Marino Ballena National Park entrance. The cows are everywhere. So are a menagerie of brilliant birds, monkeys, and all types of jungle wildlife everywhere you look. 5. 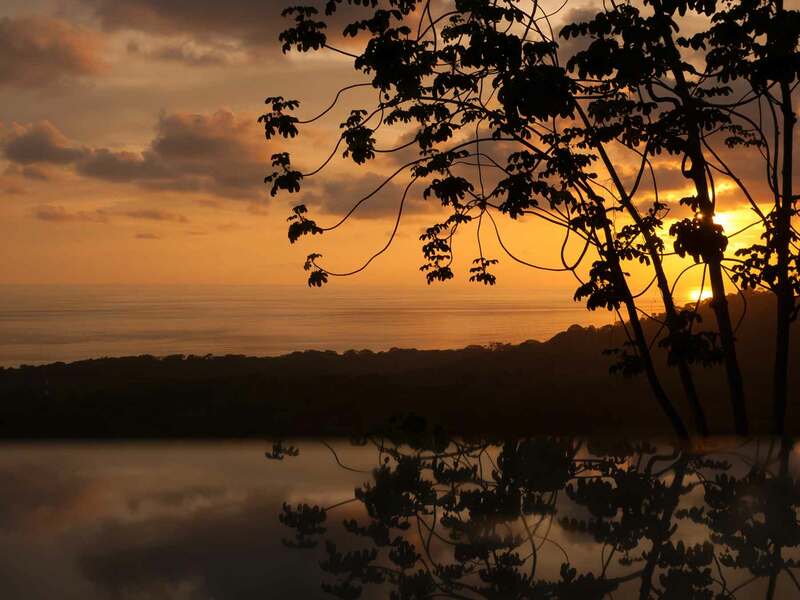 Sunsets on the Pacific Coast of Costa Rica are magnificent and different everyday. 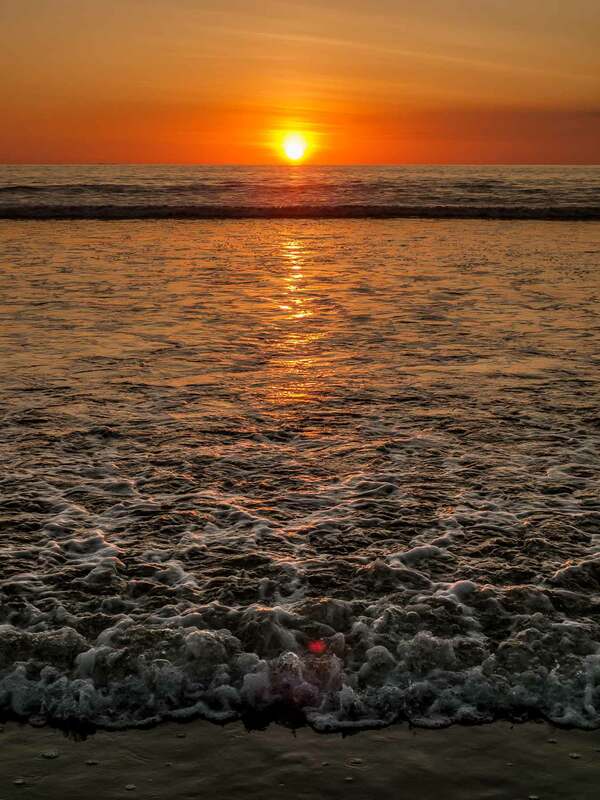 Sunset in Playa Hermosa, Costa Rica, which is a short drive north of Uvita and free to access. 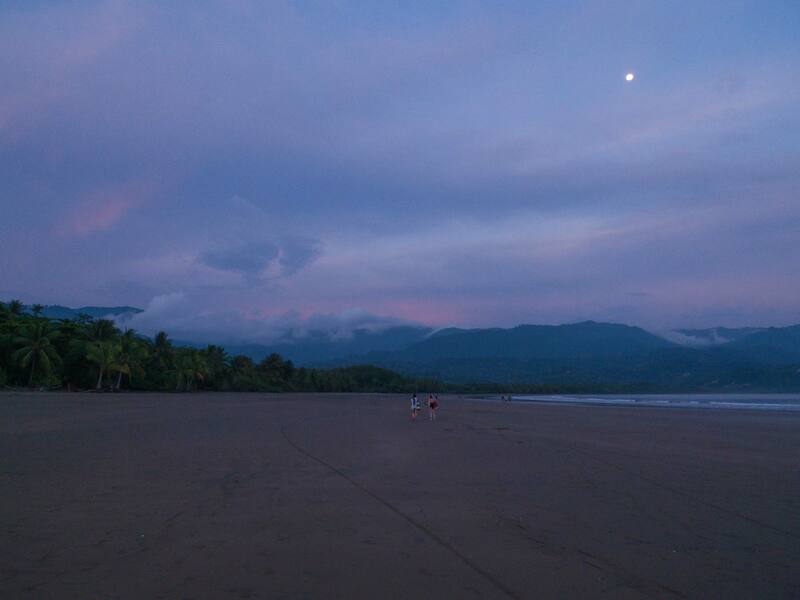 Walking back to the entrance of Marino Ballena National Park after watching sunset from the Whale’s Tail. The distance doesn’t look so long from the air, but it’s quite a trek. 6. 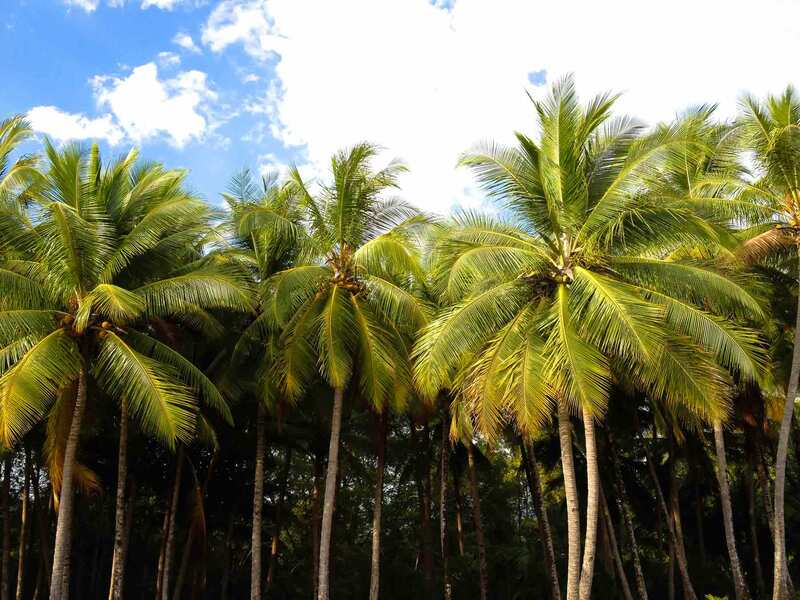 Palm trees and fresh coconut water everyday. Lush vegetation lines the shore at Marino Ballena National Park, Costa Rica. 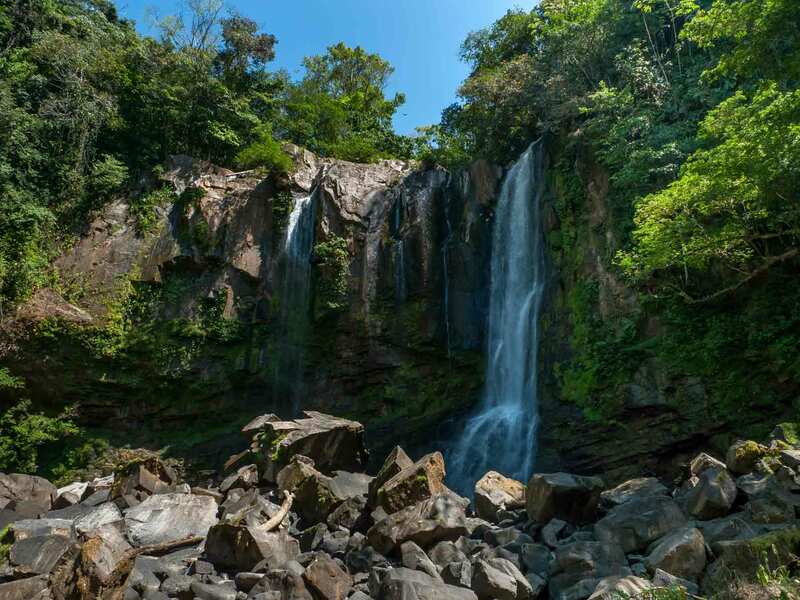 The Uvita Waterfall is super accessible from town, just a short walk down some stairs. 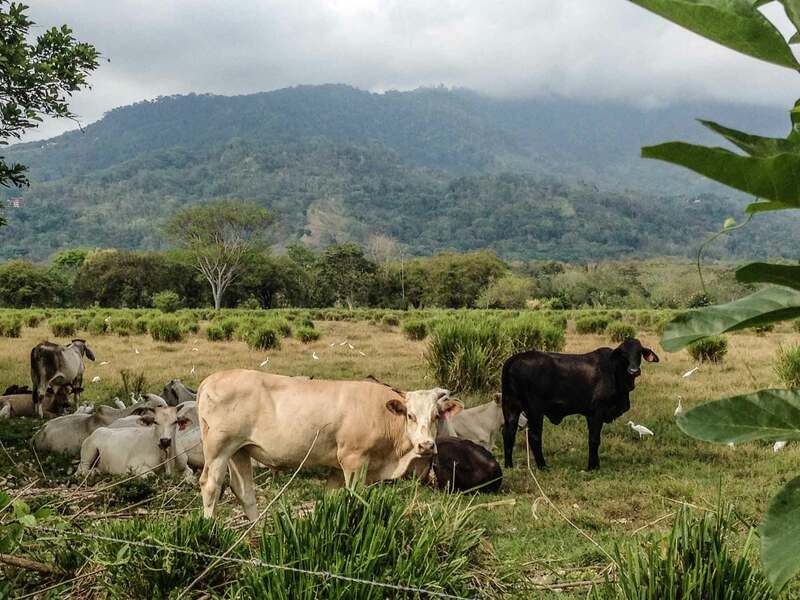 It costs 1,000 Colones per person because it’s on private land. It’s small, but the waters are crisp and perfect for cooling down in the sweltering jungle heat. Nauyaca Waterfall is the most impressive waterfall I’ve ever seen. It’s about thirty minutes up the mountain and then a five kilometer hike in, but it is so beautiful and huge that the trip is totally worth it. The first time I saw it, it took my breath away and I immediately forgot about the blazing hot, uncomfortable, mostly uphill rocky hike. If you want to ride horses to the waterfall, you can book that tour here. If you’re hiking, the Nauyaca check in office is on the side of the highway and the cost is $8. Bring plenty of water (it’s hot!) and snacks if you are the hangry type. Looking at the enormous upper waterfall at Nauyaca Waterfall, Costa Rica. That rock in the foreground to the left of center is like the height of two people! Looking down at the lower waterfall at Nauyaca Waterfalls, Costa Rica. 8. Abundant nature playgrounds to explore. 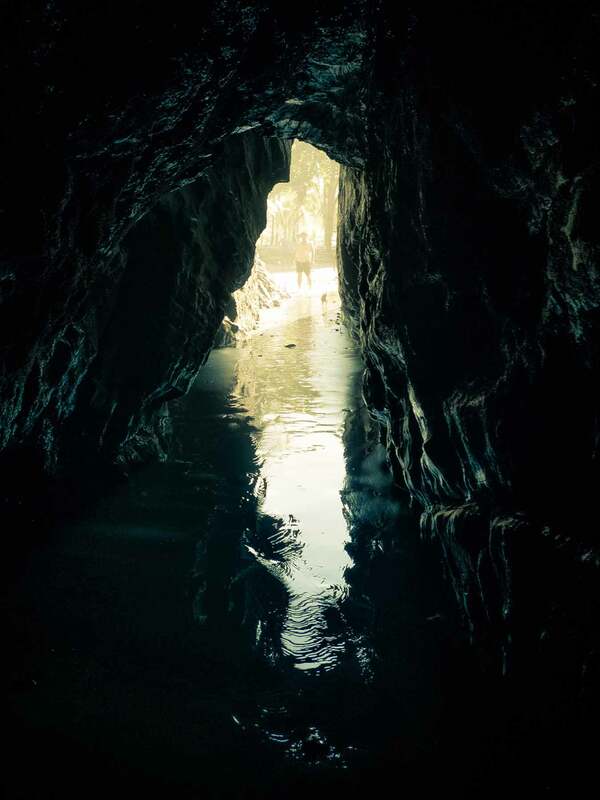 Playa Las Ventanas (Window Beach) is not far south of Uvita and has cool caves to explore. There are tons of different types of beaches with all manner of vegetation and rock formation. Mali and un gordito at the entrance to an ocean cave at Playa Las Ventanas – one of the free beaches along the South Pacific coast of Costa Rica. 9. Endless entertainment for the dogs. This environment can actually be dangerous for them, too. Lots of opportunities for snake bites, ticks, crocodile chomps, infections, tropical diseases, etc. At least they’re having fun! 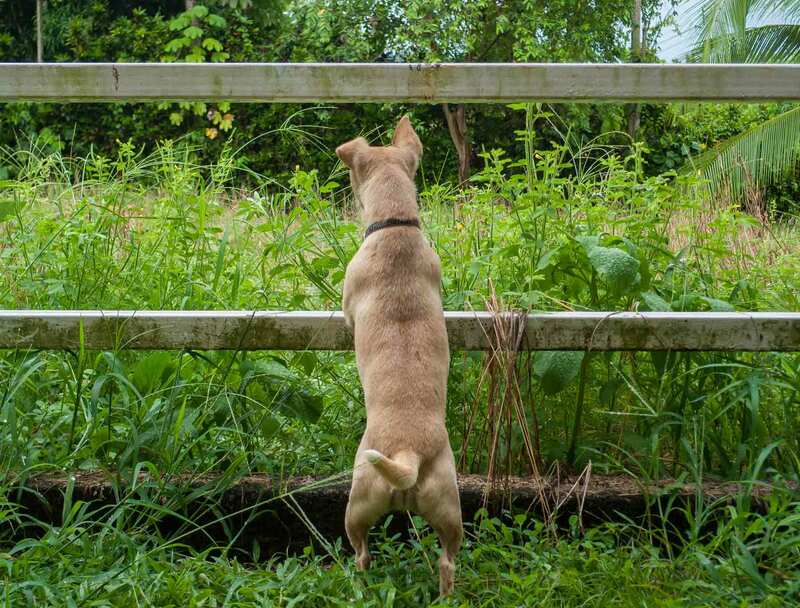 Mali waits patiently to pounce on a critter who is totally aware that she is there. 10. A short hike or drive up the mountain for breathtaking views. The mountains are close to the coast in Uvita and make excellent spots for sunset happy hour. 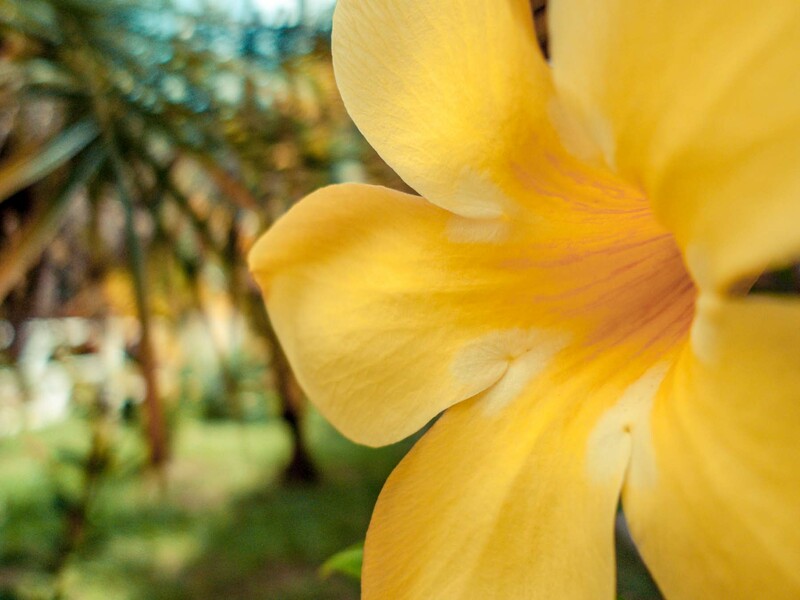 A bird’s eye view of Uvita is just a few short minutes drive up a mountain. Toucans were flying all around during this sunset. 11. Great places to stay. There are many different options for all types of travelers. You need to decide whether you want to stay up in the mountains with fresh breezes and stunning views, or down near the coast where it can get hot but you’re closer to the beach. You need 4wd for the mountains. A 2wd might make it to some of these places, but it’s not going to be pretty. There are a couple of places I recommend searching for house rentals. You can find an entire house on VRBO and sometimes AirBnB. AirBnB is also good for finding an inexpensive room in someone’s home. VRBO: Vacation rentals starting as low as $55/night – book online today! Oxygen Jungle Villas – Up in the mountains with amazing views, need 4wd. 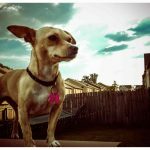 Special 10% discount for De la Pura Vida readers! Use promo code DELAPURAVIDA when booking with their system here. Copy and paste DELAPURAVIDA into the promotional code box at the top right above the listings and click apply to have the price automatically reduced. These are all in the mountains and you need 4wd to get there. 12. Scrumptious places to eat. Plus, thirty minutes south is Ojochal, which is a town full of top notch restaurants (and not much else) serving a variety of international food. It was a lot of fun going to a town in the middle of the jungle, and dining in a restaurant with an exotic luxury aesthetic. 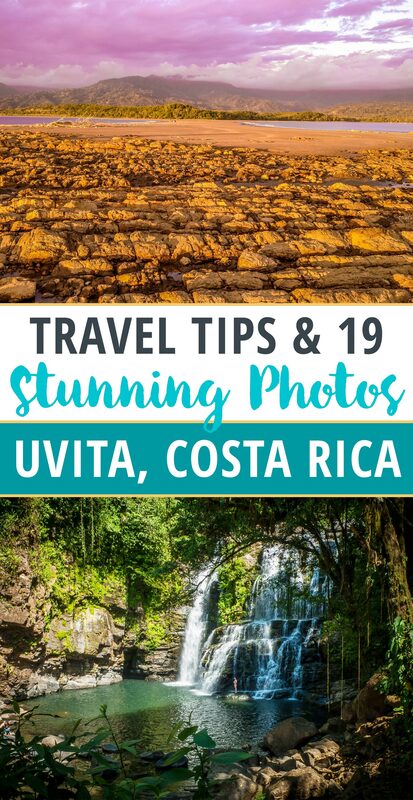 Have you been to Uvita? What was your favorite experience there? 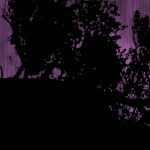 *Some of the links above are affiliate links which means I get a tiny percentage of the sale if you purchase through the link and it doesn’t cost you a cent more. It’s like giving me a free coffee. I only use affiliate links on products, services, or places that I would recommend regardless. 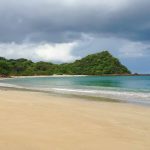 Uvita, Costa Rica, home of the Annual Whale and Dolphin Festival – the best place to see whales! 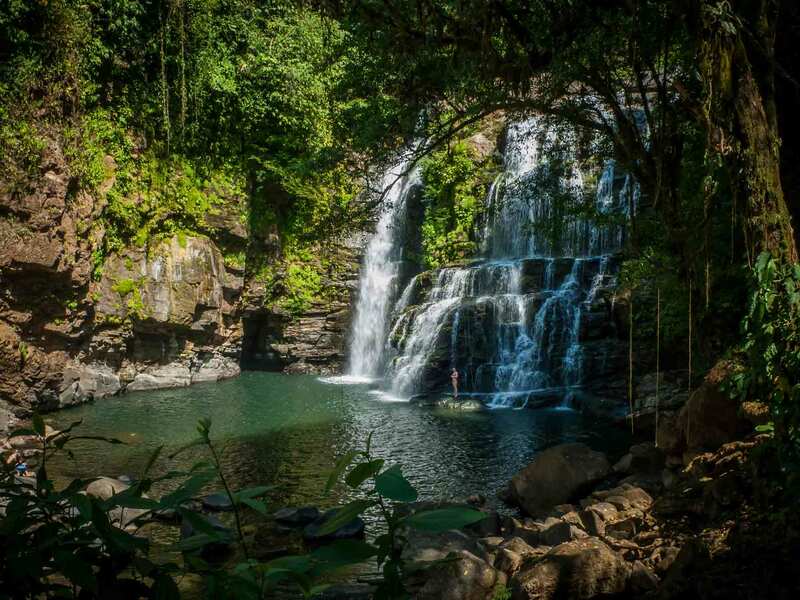 Uvita is great for relaxing, eating out, exploring waterfalls and beaches, and going on adventure tours. Looking for the Love button! Thank you so much for your blog. I love reading it. I also appreciate the awesome pictures. More power! This was super helpful! My fiancé and I are headed to Uvita for our honeymoon in May and I’ve been searching for some inside scoop. I’d love to hear more specifics about driving being that we are renting a car and what to expect. I can’t wait to look up the places you’ve posted about! Thanks! Renting a car for Uvita is smart since everything is so spread out and the heat really isn’t conducive to walking. I think the drive from the airport to Uvita is easy, but I’ve heard other people say it’s adventurous. I think it’s relative to your experience. The “highway” is one lane, so expect a lot of stop and go and slow moving due to slow trucks. It’s a beautiful drive. If you do it at night, it’s kind of dangerous because most of the highway isn’t lit and it gets really dark. Best to do it in the daytime. You’ll take highway 27 to 34, but no one calls them that. They’re just called “la pista” – “the highway”. 27 is newer, but usually under construction because they used plans from the 50s to build it from 1980 – 2010. The land shifts here, technologies change, they didn’t account for that. So you’ll drive through some massive rockslides. 34 is older, it’s the coastal highway, more like a street. There will be a lot of stop and go as people pull into their driveways. 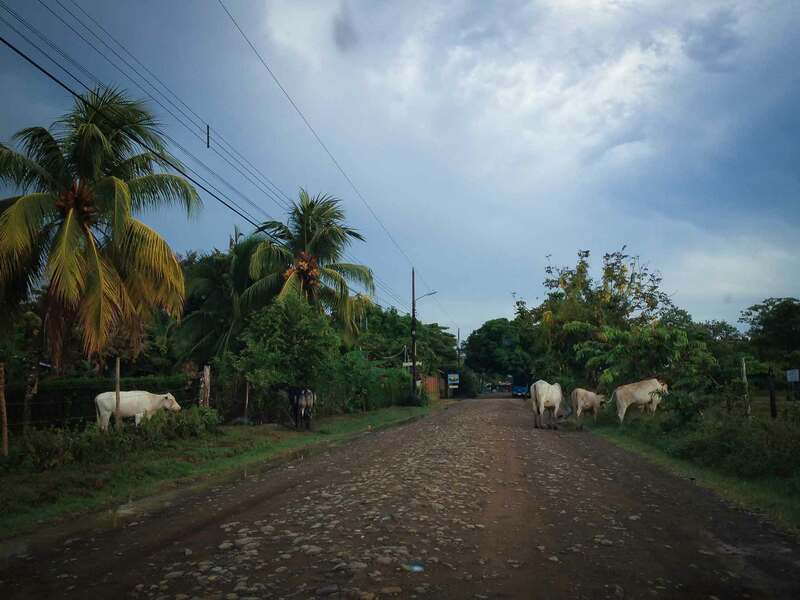 Uvita is actually split in 2 by this road, which is unusual for a Costa Rican town. 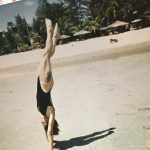 Amazing tips and stunning pictures from this breathtaking place, Erin! Keep up the great work! Heading to Uvita in 2 days, can’t wait! Do you think the Nauyaca Falls hike is doable with a baby in a front pack? I’m in good shape and hike with him frequently. Thanks for the post! Yes, if you are in good shape it is totally doable. Enjoy!